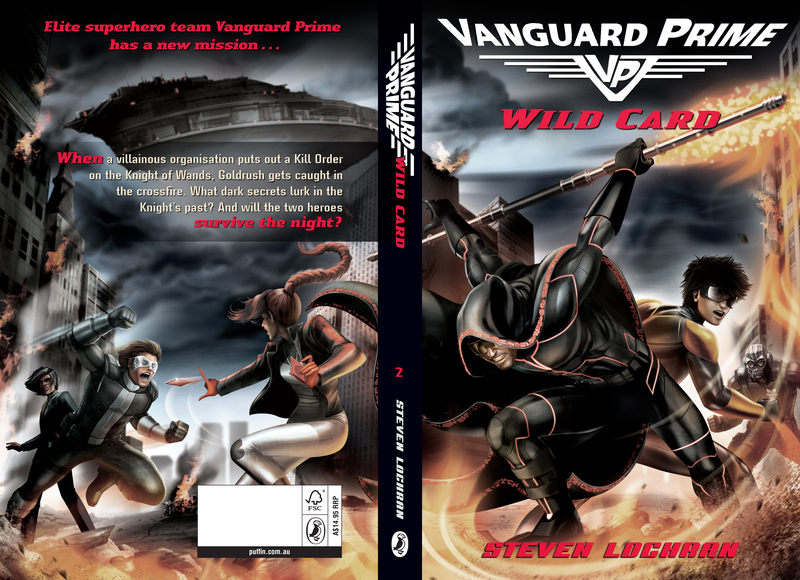 For those of you who missed it, the cover for Vanguard Prime: Wild Card (aka Vanguard Prime Book 2) was revealed at Inside a Dog, including a behind-the-scenes peek at what goes into producing the artwork for a book jacket. Unfortunately, I couldn’t get Inside a Dog’s blog system to link to a high-res version of the image, so I thought I’d post it here for you to see in all its glory (click for high-res). You can see a few new characters surrounding the Knight of Wands and Goldrush, but I’ll save details about them for the future. In the meantime, head over to Inside a Dog to see the creation of this image step-by-step!